In partnership with our sisters and brothers in Malawi and Zimbabwe, our denomination (Be in Christ Church of Canada) is sending funds directly in response to the disaster in Cyclone Idai. 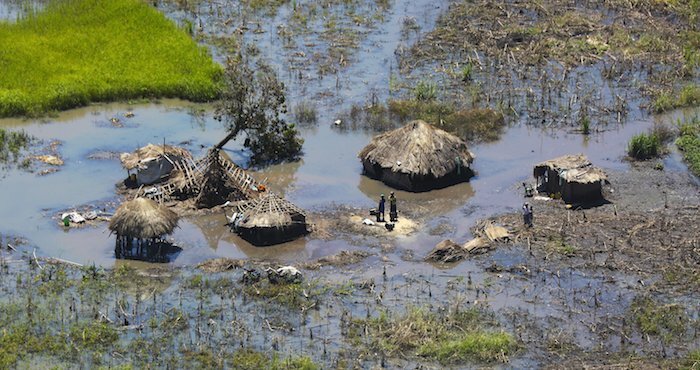 Heavy rains flooded parts of Malawi, before developing into Cyclone Idai which struck Mozambique and Zimbabwe on March 14-16, 2019, killing hundreds of people and leaving hundreds of thousands of people in need of food, water and shelter. Through BIC World Hunger Fund, our denomination immediately provided $15,000 to help with simple items like plastic sheets, maize, beans, edible oil, kitchen utensils, and clothing to the injured and displaced people. They are simple items but items that help in the early aftermath of a devastating storm. We encourage and humbly ask for your personal support of this project. You can give through BIC at www.canadianbic.ca/donate/ (under “Select Project you wish to Support” select World Hunger Fund-WHF) to make your gift of support.